You can probably relate with that midweek feeling of how did I do so much this week but still have so much more to do!? And now I’m asking you to go back and look at your old posts instead of moving forward. I understand you might not want to hear that. As an online publisher you are on a very tight schedule with a never ending task list and it is easy to forget about older posts. But there is a reason why more and more publishers are turning to this technique as a method to both save time and actually produce new content that brings more traffic. You know that article that you wrote a year ago? It had some good pieces of advice and insights, but what have you done with it since? a) It is just sitting on your site with few people actually managing to read it because it has fallen down the SEO ladder. The thing is, what you wrote has excellent points that are still relevant to issues today and your new readers will appreciate reading it. If this is what you are interested in improving, you are not the only one. Many publishers are now turning to updating their old posts, either with new information or forward links (as I like to call them) to newer articles on your site. b) Your posts from last year are still bringing in traffic because they have excellent content, great SEO and have a broad enough topic that can reach many readers. If there is a high amount of organic search traffic coming in to your site on these posts, you know you hit a gold mine. These are the posts you can repurpose minimal effort. If this is what you’re interested in you should scroll down half way. There are many other reasons why publishers are turning to content repurposing; outdated SEO tactics, change of team or a layout that doesn’t fit with your current theme are just a few. In this post I want to cover these areas and suggest modern ways to repurpose your content as an online publisher. 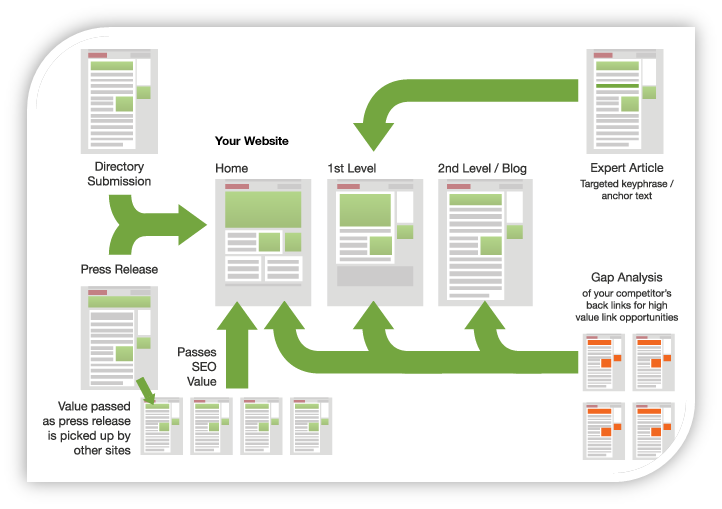 Online publishers know the value of good SEO, which is relevant to both new and old posts. According to SocialTimes readers are 17% more likely to click on a post if it appears on the first page of Google search. When you update your content you can actually improve the SEO and avoid confusion about your post being outdated. This is definitely not an experience you want your readers to have. When you update your older, high performing posts (Matthew Woodward has the most amazing post on building a blog), you will find that the life of your article can stretch out over years in some cases. Over the years you have grown your audience and authority in the field. However this means that many of your newest readers have not read your old posts, but would probably like to. By repurposing your content you can offer both your new and old readers content that is fresh, without starting from scratch. It saves time and money. It is a very simple and clean point that is the cherry on the top. It is a lot quicker to repurpose old content than to write a new one (even Buzzfeeds articles take time and effort that can be saved). Obviously you shouldn’t be doing this for every single piece of content you have ever written. That would for sure be counterproductive and not what your audience wants. What I recommend to all online publishers is to find out which are your top performing posts and start from there. There are several aspects you should consider when choosing your posts. Most publishers are using Google analytics as their tool of choice to really scrutinize their content and find the bests posts to repurpose. In addition to your inbound links, you should find out where your traffic is actually coming from. Google analytics is a great place to get that information, and there is also an option to look specifically at social media related traffic. Social Media Examiner wrote a great post I always come back to and can really help you get a good reference of high performing posts. It can be safely assumed that a highly shared post on social media has hit the right cord somewhere. One of the best parts of repurposing content is that you can reapply it to new trends. There are probably numerous posts on your site that have the potential to be updated and used for a current trend in your industry. So instead of creating brand new content, online publishers are now updating their old posts with new information. And remember that Google loves long articles, so the more information you have the better! The following section will cover the practical aspects of actually repurposing your content and impressing your readers. I am one of those people who loves to download eBooks and whitepapers. For online publications I am the perfect user; I sign up, give away my email and receive the content in return. So what does this have to do with repurposing content? 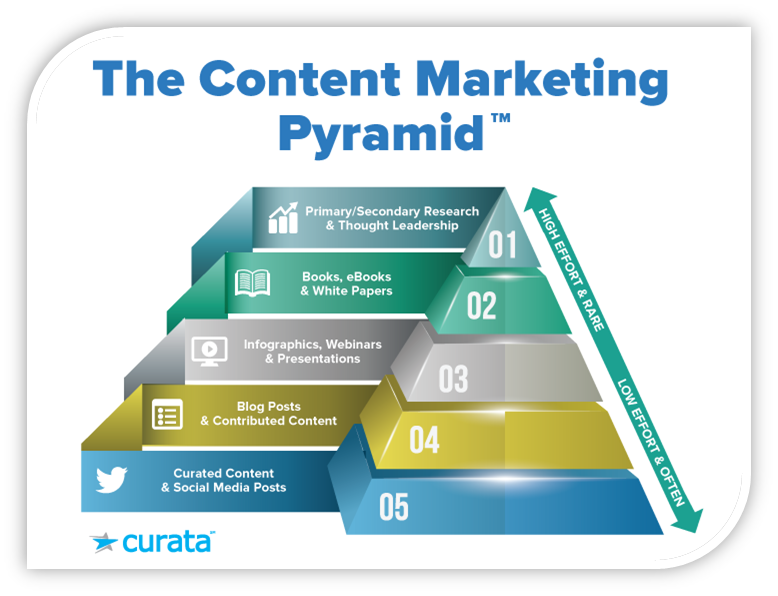 This technique actually fits in perfectly to the content marketing pyramid (I particularly like the design from Curata), and helps you reach the higher levels more efficiently. I love SlideShare because it is able to visually display all of the main points of a great article and frees my time to focus on the message, rather than reading a lengthy post. A great topic to create a slideshare for is when you have one of those ‘12 Amazing Tools That Will….’ posts, each slide should focus on a tool, with more visual representations than text. Make sure you throw in an intro and conclusion slide so that the slideshow feels complete. When you have a lot of articles on a similar topic, you can combine them all in one presentation as a master class exploration of a subject. 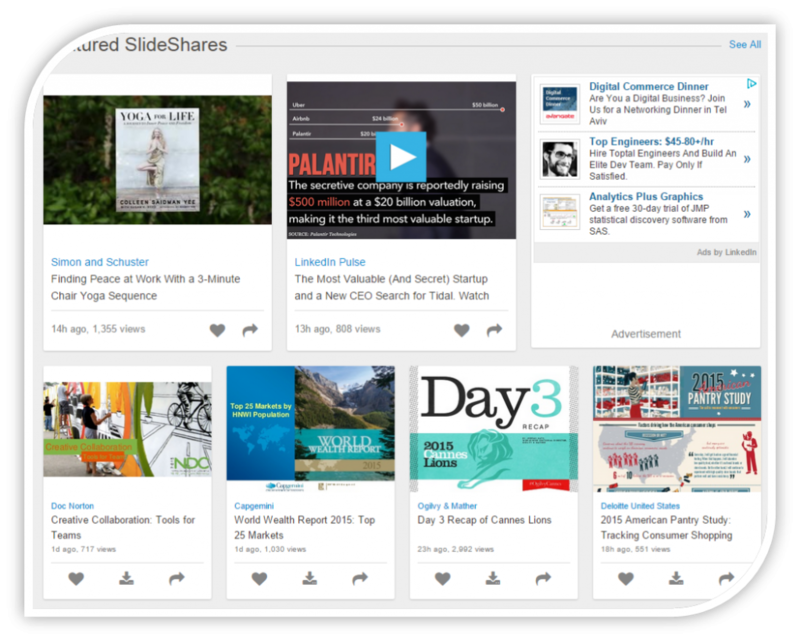 If you want to try out other slide sharing sites then I can recommend SlideWorld or SlideBoom. You can access all of them on a free account basis and the views can reach over 100,000 per presentation. Everyone loves guides, you know I do, and it is very easy to compile an ‘in-depth’ guide from all of your previous posts about a topic. You have already done the leg work, now just hire someone to put it together in a creative and visually attractive format. You can either choose to give it in exchange for a user sign up, or if you are interested in direct monetization you can also charge people to buy it from you at a low cost. Be considerate if you choose the latter option, and think about your audience. If you already have a steady reader base that are coming back consistently, there is more of a chance that they would be willing to pay for one of your white papers. 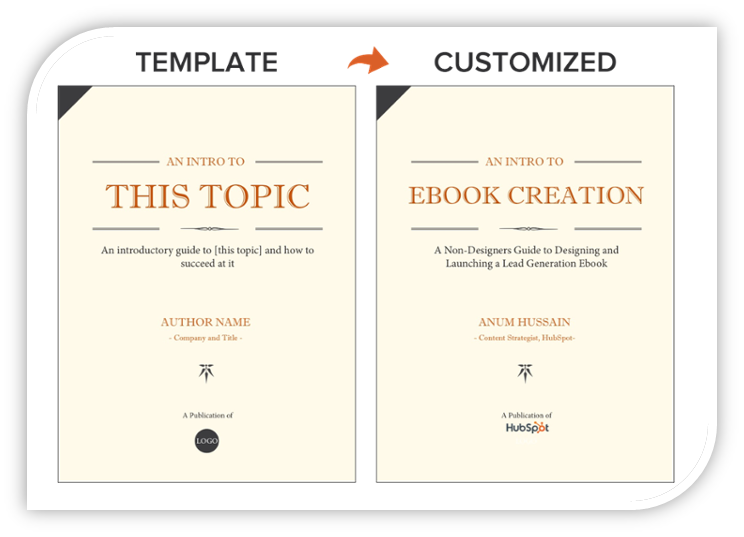 If you are looking for templates and design ideas, HubSpot have already provided readers with 18 samples to try out, and from personal experience I found them very useful for eBook creations. We actually published an entire post about similar techniques that help you monetize, you can check it out here. If you didn’t know it yet, this year is all about video. Whether its mobile or desktop, video content is going viral and online publishers can jump on this speedboat ride by repurposing their old posts into videos. Consider making videos that explain a topic and don’ forget to be creative, these are the types of videos that go viral. This content repurposing technique has been around for years already, see the video from the founders of Dropbox, Drew Houston and Arash Ferdowsi, who used it as an early stage pitch to investors and a way to bring in more users. After 6 years, its still getting views today. Take an old set of posts that are related to each other and make a video lecture about the topic using the content from your posts. If you don’t have the time capacity to do it yourself there are always freelancers you can hire to create the video for you. If you are on a tight budget, make sure you research how to make great videos, and use online tools such as Kizoa (which can also help you create slideshows) or Easy Video Maker. It can be misleading to think that repurposing content means to take an old article and republish it as new. This might send out alarm bells to the search engine ‘guardbots’ that you are duplicating content, which will in turn hurt your SEO. 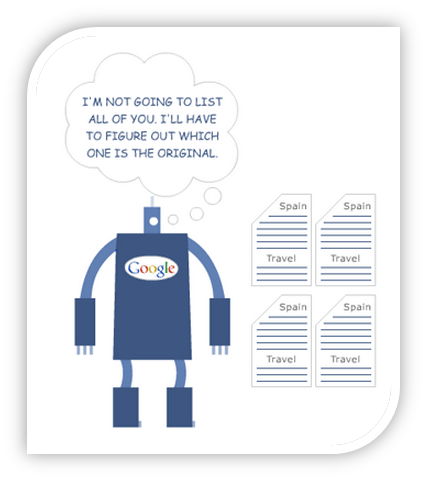 The issue is that duplicate content cannot be shown on search engine results, which leaves it to the Googlebot to decide which one is the original one. Mozblog has a great indepth guide about the deeper SEO practice regarding duplicate URL’s. What many publishers are now doing is updating the old article with new content. What you should do is copy the text to Notepad and make any changes you need on there (not in the original post format). When you have finished writing you can copy it back to the HTML section of the post and delete the original. Don’t fall into the trap of changing the post’s URL slug either, this can remove some of the links value and lose SEO points in the long term. Our Marketing Director and SEO expert, Avishai Bitton, has recommended that if you do decide to write a new post, you should use a plagiarism checker to make sure that your content is not duplicated somewhere else. This is especially useful if you are outsourcing some of your work to freelancers and have less control over their writing. Check out these free online tools, plagium or smallseotools, to make sure you protect your content SEO. This technique will increase readers trust in you as a writer and your publication in general, and avoid the confusion of why are there comments here from years ago. If you do have a lot of comments on that post, you might want to comment on it yourself with an update alert so that they receive a direct message alert (assuming they have asked to be notified). It’s easy to change a title and give a whole different angle to the post, however if you had been writing with SEO in mind you would have used one of your keywords in it. This means that when changing the title you should remember to keep the keyword in it somehow, this will make sure your SEO ranking is not affected too drastically. This piece advice also refers to the body of your post. I recommend going over the keywords in your post and making sure you have a balanced ratio. Years ago, keywords were put in often unnecessarily and unbalanced the content. Now Google is penalizing such articles, so it is best to check your old posts to make sure you didn’t fall into that trap. This free keyword density calculator can help you get on track. If you understood that heading I give you a virtual high five. To stay that one step ahead online publishers need to push the boundaries of content creation, but with content they know worked well in the past. Infographics are overused these days so it’s time to step up and be a game changer. What about GIF slideshows or collaborated video webinars? The creativity options are endless and you already have the material you need for it.